The oldest economic battle is repeating itself! Disruptive businesses must fight against their crony competitors-the ones with friends in government who try and protect them from innovative upstarts. 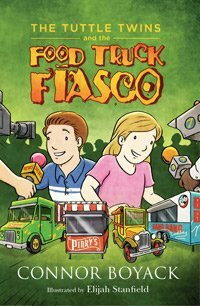 Ethan and Emily Tuttle witness this battle firsthand with their food truck friends as they embark on a campaign to win public support and overturn the laws that shut them down.